Thanks fot the tutorial… I'll be following closely! I have wanted to make on eof these for a long time now! I'll have to keep following this tutorial. I've been wanting to make one of these ever since I was a kid. I've only made traditional quilts but these look like so much fun! It looks so cute! I'm just curious what size the finished quilt is. I'd like to give this a try. I also would like to know what size the quilt is that you are making … for a crib? Any idea on quantities if you were going to make it for a twin bed? 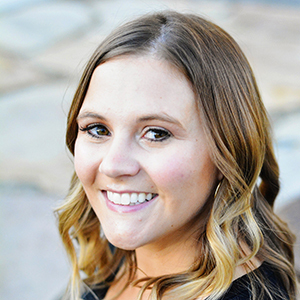 Natalie-Thanks for your question! I will take a closer picture and post a blog about it today. I'll also try to include sizing for everyone who is wondering about that! can you take a picture of what the back of the quilt will look like?? I will include a picture of the back in the next part of the tutorial, coming out next Wednesday. I'm not sure what you mean by your last sentence…could you clarify? so do i need 2 yds of color fabric for the top? and 1 yrs of muslim? You need a yard for the border. You need a yard for the back. You need a yard for the binding. You need two yards of muslin. Lots of thread, make sure you have matching thread for the border and binding. I can't wait to make one of these! Thank you so much for sharing the how to with all of us!! I just found your blog through Make It and Love It and I cannot wait to make one of these quilts. I may start with the pillow first to practice, but I think this would make a fantastic gift for my new week old nephew. Thanks for taking the time to write the tutorial and I look forward to reading more as I am now a follower! How cute, I just love the look and colors you have done with these quilts. Thank you for posting the tutorial on how you make it!! Hi! I'm here from 'make it and love it'…. I LOVE this project and am going to start it on monday. I just purchased a bunch of fabric to make my daughter a quilt. SO glad I didn't start it yet!!! simply fantastic. off to scour the internet and fabric shops for charm packs. I LOVE you for this! really. i do. I should of read the comments the tutorial says only 1 yard of muslim not two. Looks like I need to make another trip to the store! I am gonna be honest here…I am not a huge "quilt" fan…I've always thought…well…that they are "grandma-y"….and then I came accross your post….OH MY GOODNESS…I have fallen in love!! I ordered my charm pack, put my pattern together, I've cut my muslin, and on Thursday, I embark on this new adventure…I've never made an actual blanket before let alone attemp this, but I am motivated and determined so WISH ME LUCK!!!! I'll have to post pictures when I finish it…because I will!! Hi! I googled the charm packs and some say packs of 24 and some say 31 and I was just wondering what size pack I would need. Thank you so much! I just finished my first puff quilt by using your instructions!!! It was so much fun and it turned out so cute. I made it out of turquoise materials that were a stash I bought for a child's quilt. Instead of the border you have on your quilt I did a three inch ruffle and it was so cute. I backed it with flannel and it went to a school auction to benefit my grandchildren's school. I did not use a walking foot and had no trouble sewing everything up. In your instructions you said to use a rotary cutter and a self healing mat. The muslin looked like this, but the colored fabric looked like it was cut with pinking sheers. Are there rotary tools that cut like pinking sheers or did you use your rotary tool and then use the pinking sheers on the ends? Thank you so much!!! I just found this post (thanks to Blogger's Quilt Festival) and I'm glad I did. I have been wanting to make a puff quilt but pretty much had no idea how! So, this is excellent. I think I just found the perfect project for my "pure" charm packs! Just made my first "puff".. wondering if I used too much or too little poly fill.. Ugh! Any tips from those of you who have made this already? I have a question. Can you use the poly fiber fill stuff in the place of the batting also? Sorry wrong guestion. Can you use some of the batter to stuff the pillows instead of the fiber fill stuff? Thank you and you are so talented at these puff quilts. Tutorials are professional and complete! 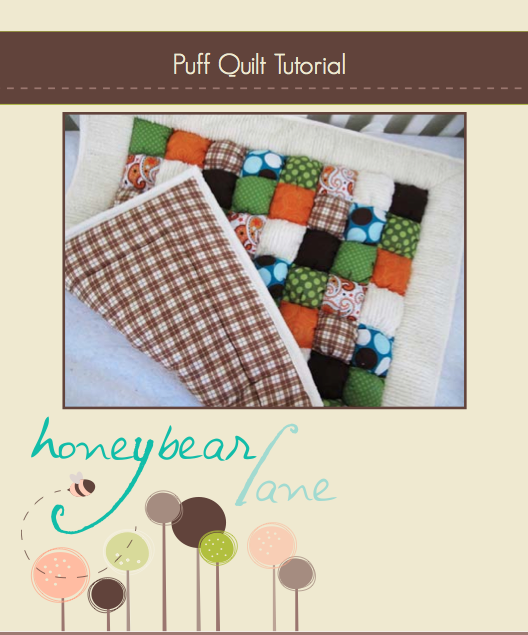 Thank you for this tutorial and for sharing your wonderful puff quilts. Seeing your quilts I was inspired to try making one myself and I am in love! I found 3 quilts my mother had started, 2 were hand stitched. One was started by my grandmother, she and mom worked on it and I finished it. One was for a twin bed, the 3rd was just puffy squares, I finished that quilt and it is used on my king size bed. It is so warm on these cold winter nights and always reminds me of being wrapped in my mothers love. I am now making one from all our clothes as a family quilt. I've always wanted to try to make a puff quilt. Have you made them using patterns other than squares? Some of the other quilt designs would be very interesting done using this application. Thanks for the tutorial. did anyone save the directions? I started it but haven't finished it. Finished my first one of these about a month ago and am just now getting around to posting it. I love it and plan on making more (it's perfect for all my friends who are expecting babies soon). Thank you for the amazing pattern! I love this quilt and want to make it, I do not have a sewing machine yet though. Am I able to hand stitch this quilt? You could technically hand sew it, although you would be better served to do the traditional hand sewn puff quilt. My tutorial’s instructions are for use with a sewing machine. Good luck! I really want to make this quilt for a friend’s baby shower but was hoping not to spend a ton of money. How much would you retail all of the supplies for? Just an average estimate? If anyone went and bought all of the supplies, help?! Thanks!